The growth in the use of steam engines in factories created a tremendous demand for coal. Where possible, coal was transported to the factory owners by canal or river. However, they still had the problem of finding an efficient way of getting the coal to the waterways. The problem with horse-drawn railroads was that they were extremely slow. 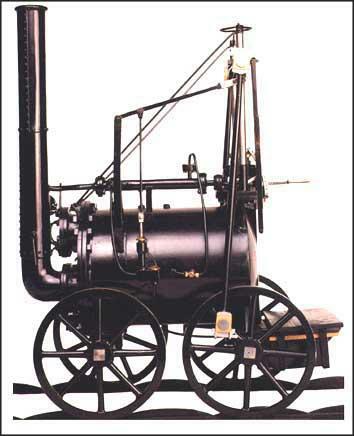 Richard Trevithick, a mining engineer from Cornwall, began experimenting with a steam locomotive that he hoped would eventually replace the horse. At first he concentrating on making a miniature locomotive and by 1796 had produced one that worked. The boiler and engine were in one piece; hot water was put into the boiler and a redhot iron was inserted into a tube underneath; thus causing steam to be raised and the engine set in motion. In 1813 Stephenson became aware of attempts by William Hedley and Timothy Hackworth, at Wylam Colliery, to develop a locomotive. Stephenson successfully convinced his colliery manager, Nicholas Wood, his to allow him to try to produce a steam-powered machine. 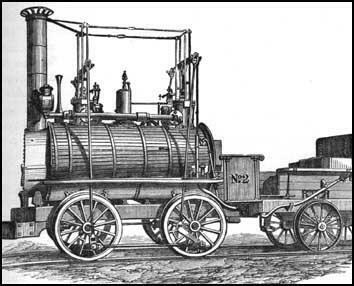 By 1814 he had constructed a locomotive that could pull thirty tons up a hill at 4 mph. Stephenson called his locomotive, the Blutcher, and like other machines made at this time, it had two vertical cylinders let into the boiler, from the pistons of which rods drove the gears. 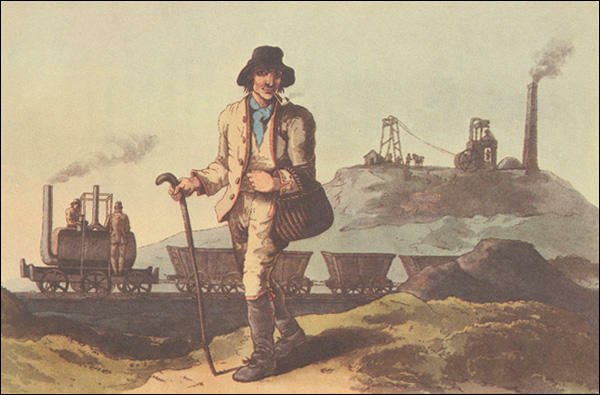 The owners of the colliery were impressed with Stephenson's achievements and in 1819 he was given the task of building a eight mile railroad from Hetton to the River Wear at Sunderland. While he was working on this Stephenson became convinced that to be successful, steam railways had to be made as level as possible by civil engineering works. The track was laid out in sections. 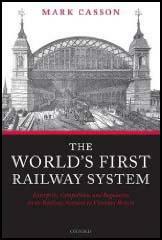 The first part was worked by locomotives, this was followed by fixed engines and cables. After the railway reached 250 feet above sea level, the coal wagons travelled down over 2 miles of self-acting inclined plane. This was followed by another 2 miles of locomotive haulage. George Stephenson only used fixed engines and locomotives and had therefore produced the first ever railway that was completely independent of animal power. Stephenson began working with William Losh, who owned an ironworks in Newcastle. Together they patented their own make of cast iron rails. In 1821 John Birkinshaw, an engineer at Bedlington Ironworks, developed a new method of rolling wrought iron rails in fifteen feet lengths. Stephenson went to see these malleable rails and decided they were better than those that he was making with Losh. Although it cost him a considerable amount of money, Stephenson decided to use Birkinshaw's rails, rather than those he made with Losh, on the Stockton & Darlington line. 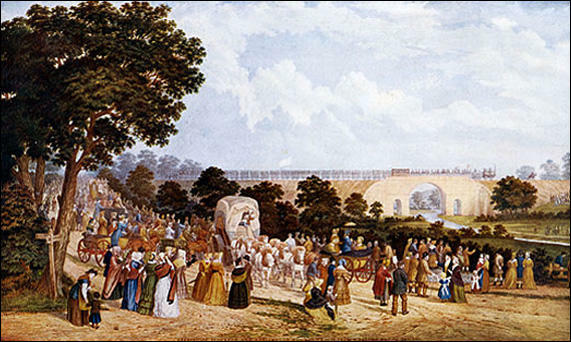 The Stockton & Darlington line was opened on 27th September, 1825. Large crowds saw George Stephenson at the controls of the Locomotion as it pulled 36 wagons filled with sacks of coal and flour. The initial journey of just under 9 miles took two hours. However, during the final descent into the Stockton terminus, speeds of 15 mph (24 kph) were reached. Can anything be more ridiculous than the claim that in the future locomotives will travel twice as fast as stage coaches. 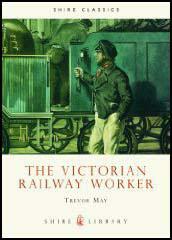 (2) In 1841, Charles Young took a young friend, William Hinton, to see his first railway locomotive. When the locomotive went past, Hinton fainted. When he recovered his feet... amazement was stamped upon his face. It must have been five minutes before he could speak... Well, sir, that was a sight to have seen; but one I never care to see again! How much longer shall knowledge be allowed to go on increasing. Perhaps the most striking result produced by the completion of this railway, is the sudden change which has been effected in our ideas of time and space... what was quick is now slow; what was distant is now near. (5) In August, 1830, the actress Fanny Kemble travelled on a train for the first time. We travelled at 35 miles an hour (swifter than a bird flies)... When I closed my eyes this sensation of flying was quite delightful... the motion was smooth... I could either have read or written... as it was I stood up, and... drank the air before me. (6) In a letter that he wrote in November, 1829, the politician, Thomas Creevey, described travelling on a train for the first time. During the five miles... we occasionally went at the rate of 23 miles an hour... The quick motion is to me frightful... It gave me a headache which has not left me yet... Although I am extremely glad indeed to have seen this miracle, and to have travelled in it... but having done so, I am quite satisfied with my first journey being my last. (7) In 1836 George Head, described travelling on the Leeds and Selby Railway. The country people could hardly have been more interested by the spectacle; the men at work in the fields stood like statues... every horse was on the alert, viewing the huge moving body as it approached with a mixture of fear and surprise... Even the cows spat out mouthfuls of unchewed grass and tried to gallop. In these third-class carriages there was a general feeling of bare boards and cheerlessness as you entered them and if you were travelling in the winter time they gave you a kind of cold shiver... The seats were cushionless and the longer you sat on them the harder they seemed.